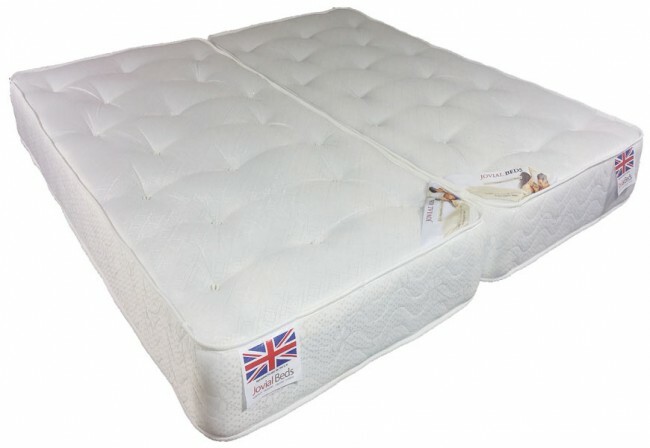 The Rio Coil Sprung 5ft King Size Zip and Link Mattress gives a Medium firmness support for an even, comfortable night’s sleep. White Hand tufted with multiple layers of Hypoallergenic orthopaedic fillings. Fully turnable, so you can rotate to keep it in perfect condition. Upholstered in luxury stone suede fabric and a 12.5 gauge orthopaedic spring unit system. 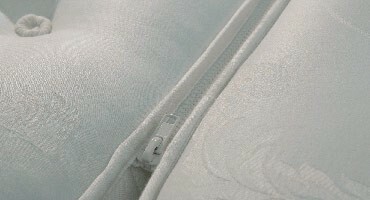 To use 5ft zip and link mattress on normal 5ft divan base please purchase 5ft wide x 6 ft 6 inches long size = (Two x 2'6" x 6'6") OR (Two x 75cm x 200cm). If you are looking to purchase 5 or more mattresses please phone 0161 920 6998 or email us through our Contact Us Form. for discounts.